Even musical theater superstars love their bacon pancakes. That's what I've gathered from Hugh Jackman's latest singing venture... or should I say lip syncing venture, which seems to be the world's newest craze. (Someone call Ashlee Simpson and Milli Vinilli to get onboard.) 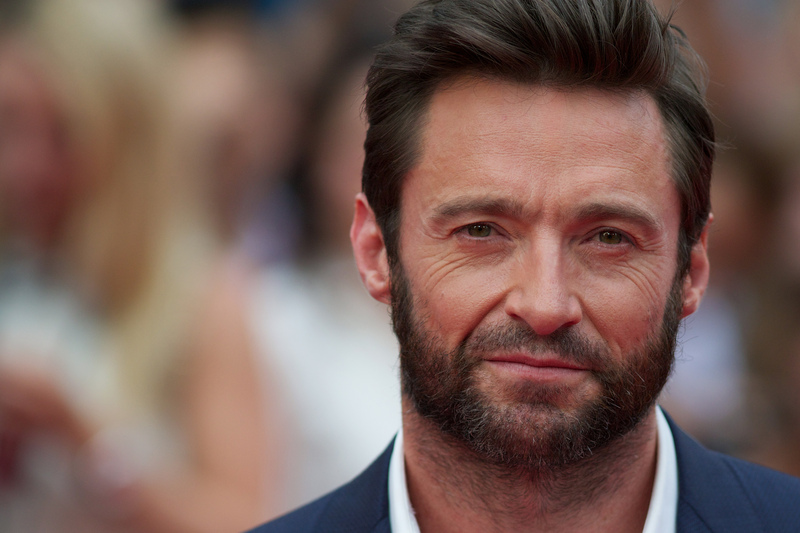 Hugh Jackman just recorded "Bacon Pancakes" from Adventuretime on the DubSmash app, and it's enough to start a petition for him to get on viral sensation Lip Sync Battle as soon as possible. What are you waiting for, Spike? So, first things first: what is this DubSmash app? The latest craze is a lip sync app that allows you to record your own video over sounds selected from their library. Users can upload sounds as they like, or you can pick from a plethora of already generated sound clips. The app allows you to record video over iconic movie lines (like "I see dead people" from The Sixth Sense) as well as short audio clips from some of your favorite songs, just as Jackman did. Bacon pancakes, makin' bacon pancakes,Take some bacon and I'll put it in a pancake,Bacon pancakes, that's what it's gonna make,Bacon pancaaake!